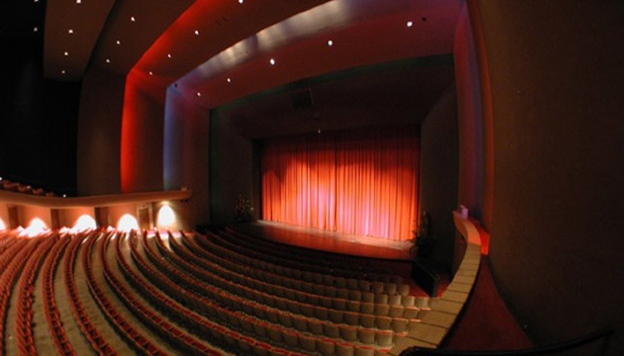 The Concert Hall is Hawaii’s premier performing arts theater for the Honolulu Symphony and the Hawaii Opera Theatre. Broadway productions such as Wicked, Lion King, Shen Yun, Phantom of the Opera, Les Miserable, Rent, Miss Saigon, Chicago, Cats and other national touring shows have performed here. This magnificent theater seats, 2,158 people in luxurious comfort. With continental seating a proscenium stage and modern lighting and sound systems, the Concert Hall can also be used for plenary sessions, symposiums, graduations and other large meetings. For added convenience, in-house catering services are available. For move-ins, a loading entrance is located at street level.